Ready for the one thing no one tells you about marketing automation? Setting it up is not exactly automated! You’re the lucky one who gets to put the brain-power behind amazing automated workflows that educate your audience, shorten your sales cycle, and ensure none of the opportunities you’re driving falls through the cracks. But if you’re left scratching your head about where to begin, don’t worry – you’re not alone! 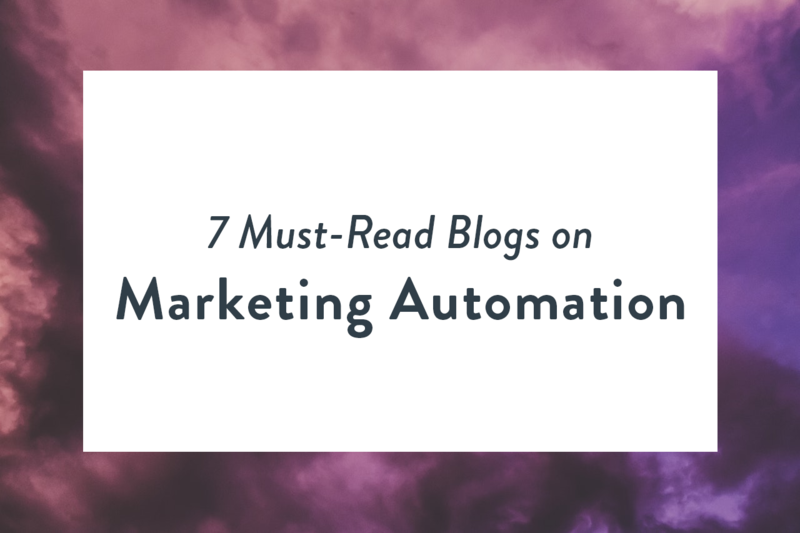 Here are the seven best marketing automation blogs on the internet. They’ll help you identify which workflows are best for automation, which tools to use, and how to apply marketing AI to get the best possible results for your business. Find a mix of vendor blogs, personal blogs, and media publications in our roundup. As a leading workflow automation tool, it’s no wonder Zapier has fantastic content on marketing automation. Zapier’s blog is the go-to for all things related to marketing automation software: they provide in-depth tutorials on using their own tool, along with popular workflows across thousands of third-party apps. Topics: Productivity, time management, martech, workflow automation. Recommended reading: If you’re interested in how automation can save you time, read one of Zapier’s case studies — from this designer who saved half a day per week with automation, to this small team that now saves two hours per day. This blog features everything you could possibly want to know about marketing automation, as told by the fantastic Scott Brinker. Brinker is the VP of the platform ecosystem at Hubspot, and a longtime entrepreneur and marketer. We love Neil. His content is easy to skim, fun to read, and always up-to-date. Here, you’ll find the latest and greatest information on automation for lead generation, content marketing, and more. The tips on Quicksprout are helpful and actionable, a major time saver for busy digital marketers, agency owners, and freelancers. ActiveCampaign is a market leader when it comes to automation. Their marketing platform has been helping digital marketers streamline their campaigns and track key metrics for years, and their blog shares must-know information for today’s savvy marketer. On the Sharpspring blog, find productivity and marketing tips for everyone — whether you’re a new digital marketer or a seasoned pro. Get niche tips on video, email, social media, and content marketing and stay at the leading edge of your industry. Recommended reading: “The Top 5 CRM Metrics” is a great place to start. The Marketo blog features a wide array of leading voices in the sales and marketing industries. As a leading martech platform, Marketo has created a diverse content hub with thought-leadership pieces and service pieces on all areas of digital marketing — automation included. Get some insightful perspectives on what’s happening at the forefront of marketing automation here. Topics: This blog covers a very wide range of topics, but some of the highlights related to marketing automation are AI, content marketing, social media marketing, account-based marketing, digital marketing, and personalization/targeting. Hey, it’s us! In seriousness, because marketing automation is one of our specialties, we write about it quite a bit. Find granular pieces on subjects like using UTMs and Facebook Pixels for automatic tracking, and broader theoretical pieces on marketing and sales as an industry. Other topics you’ll find covered on the Hatchbuck blog include sales tips, graphic design, copywriting, and marketing terminology — all with the latest info presented in the most helpful way possible (we hope!). Recommended reading: “The Power of Automation to Supercharge Your Marketing Efforts” is a great primer on the topic.